Description: This is a deck of playing cards featuring Doctor Strange comic art. 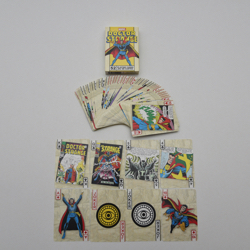 Each card features art from the comic books. The same art does appear on multiple cards.